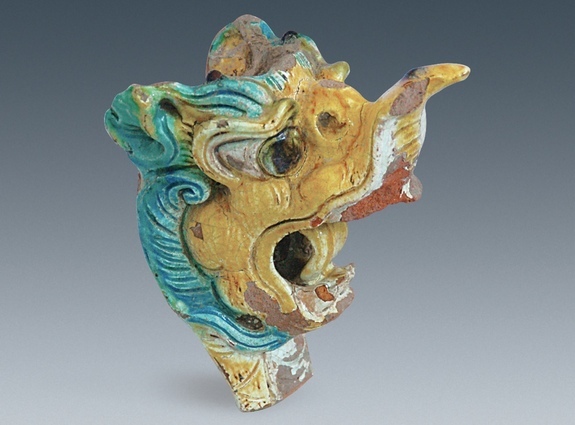 The remains of three colorful dragon heads made of clay have been discovered in a huge palace in Xanadu, a city constructed by the grandsons of Genghis Khan. Scientists reported that the dragons were made of fine, red, baked clay and were attached to the ends of beams and used as decoration. They “are lifelike and dynamic” and “have yellow, blue, white and black coloring” glazed on them, researchers wrote. The palace where the dragon heads were discovered, sprawls over 9,000 square meters (about 100,000 square feet), or nearly twice the floor space of the modern-day White House. Archaeologists have been excavating the palace, learning how it was designed and decorated. I thought you might like this one. Thank you!